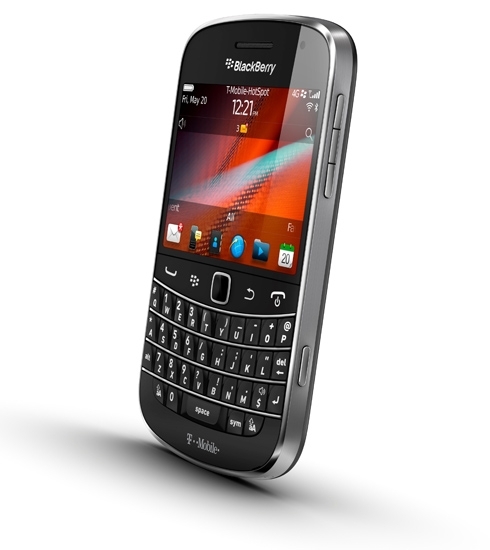 T-Mobile announces 4G BlackBerry Bold 9900 for $299.99 | BlackBerry Blast! T-Mobile today announced the BlackBerry Bold 9900 4G phone is available for business customers, and will be available for everyone on August 31. The new 4G BlackBerry will be available for a whopping $299.99, after a $50 mail-in rebate and a 2-year contract. That means you have to cough up $350 first to get this phone. Are they nuts? The 4G-capable BlackBerry Bold 9900 is the thinnest BlackBerry smartphone ever (at only 10.5mm) and the first to offer the perfect union of a high-performance keyboard and brilliant touch display integrated within the iconic BlackBerry Bold design. Featuring a range of powerful hardware enhancements including a 1.2 GHz processor, Liquid Graphics� technology 24-bit high-resolution graphics and advanced sensors, the new smartphone is designed to deliver the ultimate in communications, multimedia and productivity.